Leveraging the same, tired traditional media tactics within emerging channels is like trading in a mule for a Ferrari - and then attempting to bridle it, saddle it, and ride it home while sitting on the roof. It boggles the mind that a lot of companies actually do this. However, it's an all to common occurence. In my experience, it seems that the ones that behave in this manner are also the same brands that seem to be experimenting in new channels in a way that may be hazardous to brand health. I've been thinking about this and there are a number of reasons this may be occuring... some more lame than others. Please add your own in the comments. 1. We didn't know what we were signing up for. Truth be told, many of us have been caught off guard, but that's no excuse. There's enough information out there to test the waters of emerging channels in an intelligent manner. If you're still being caught with your pants down on say, Twitter -- the lack of preparation is your fault -- not a result on an untested medium. I tend to agree with Jeremiah Owyang's assertion that Twitter will become a CRM tool. I'd submit that we should be thinking about all emerging - or "agile" channels like we would think about CRM tools. This is important because the transparency created by emerging media naturally demand the resolution of key, customer-facing issues. This entails a unique mix of customer service, operational and/or IT skills, and a little PR... although some issues may be related to larger, operational challenges. Many stakeholders assigned to digital and social media just don't have the level of empowerment or create resolution or influence change at a level that might be necessary. When people are not empowered to answer and resolve tough customer questions in a timely manner in emerging media channels, it becomes highly evident to the brands social newtork. Unfortunately, instead of resolving this problem with better oversight, coordination and collaboration, many companies react by moving customer facing issues solely offline and manage the digital channels in a more opaque, non-relational manner: Treating the channels as outbound communications vehicles, rather than customer service medium, and limiting individual engagement with customers online. This is a huge mistake. Emerging media channels need structure and oversight -- but not at the expense of neutering the channel - or of applying common sense. Having thinking workers at the helm who can provide carefully worded and high enough level responses to diffuse risk, and make participants feel valued and respected are essential to keep the "flow" going in favor of the brand. Analysis paralysis is the enemy in what I'm starting to call "translucent culture" (Thanks to @bethharte brain hockey and comment). It's important to find the balance between enough structure to keep things manageable -- and enough flexibility to facilitate agile response. I've talked to executives from a few major brands who feel they have far too many, vocal detractors and skeletons in the closet to succeed in the use of digital and social media. In fact, the head of customer analytics for a major airline laughingly described Twitter to me as "Pandora's Box" late last year. Many are hesitant to expose present business realities to a broad audience base. Others don't know if they want the exposure something like a blog, Twitter, Facebook or You Tube might create because they might just have more to lose than to gain. Some, frankly, feel social media engagement is a huge waste of time. The point is simple: digital and social media are simply not a priority to everyone. At the same time, many reticent companies (including the airline I mentioned) have become active in emerging channels anyway. Why? In some cases, a high level executive mandate was issued. In other cases, they were pushed hard by consultants, agencies, industry analysts and overzealous agencies. In some, they merely wanted to reserve user names ... and things cascaded from there. Whatever the case, the activity of these brands doesn't indicate a fully sponsored, well organized presence. It doesn't indicate alignment, or buy in. It doesn't suggest the individuals managing the digital media presence entered with an understanding of the potential up-side of participation, what they might be in for, or knowing how to manage things, well. It doesn't mean proper resources were allocated to doing social media the right way. Perhaps they came in kicking and screaming, and they're still reeling as they figure things out. This might be more common than you think. 3. The wrong people are steering! These are bad things. Why? Because the lack of leadership and oversight are plainly evident to every bright individual within a brand's social network. Case in point -- I recently audited the tweets and posts of a national brand that is a former client. I was disheartened to find the brand's formerly engaging, relational tweets and posts replaced by self-promotional, broadcast-driven messages, with no sign of interaction. I reached out to my contact to ask what happened. My contact reluctantly and apologetically confessed to me that the team was swamped and decided to pass the management of emerging media channels for the summer to an intern. After sucking in my breath to temper my response, we discussed the ramifications of their decision in rather frank terms. They assured me they'd turn things around. They certainly know better, and I hope they do get it right. Another interesting aspect to this story is that their executive management doesn't know any better and hasn't challenged the team on this approach. The executives think it's enough for the brand to be present on Facebook, Linked In, Twitter and blogs - so there's no pressure to engage or do anything differently ... no urgency to remedy the issue. It's important to understand that being present in emerging channels isn't the same as having a meaningful presence. Meanwhile, there are a myriad of constituents who have befriended this brand online who were hoping for more than a press release. It's easy to engage in digital and social media channels without a lot of forethought or up-front planning. This happens more than we might think -- especially in light of a strong internal executive push. However, make no mistake -- digging in one's heels and jumping in with reckless abandon can result in just that -- reckless abandonment. More than a few companies have been forced to refocus or retrench to properly manage customer communication in emerging channels, and in many instances, transparency was not a friend of the brand. When there's no plan in place that helps companies manage the digital footprint, build relationships, align resources, govern communication, oversee communication and monitor reputation and feedback, the presence becomes unmanageable, difficult to monitor, coordinate and measure. Unfortunately, many brands don't know enough to create a cohesive governance, workflow and management plan. Further, many of their agencies - while active promoters of digital and social media -- are unskilled and untested in the channels, themselves. So, the brands continue on auto-pilot, learning as they go -- often in an inefficient and unsustainable manner. This isn't the kind of culture successful brands want to reflect to the critical public in emerging channels. This is another reason sticking to a plan, putting in proper oversight, and investing in continuous learning and reputation monitoring (read comments on this post, too!) are critical for success. Sooner or later, the smoke clears and you won't fool anyone. For the brands that suffer from one or more of the symptoms above... take heart. You don't need to hold up mirrors and a smoke machine to mitigate risk and create positive impressions in emerging channels. It's time to get real about your digital media footprint, and the impression it gives. Your degree of preparedness is evident to customers online. While some executive leaders may not know the difference between being present and having a presence -- your customers will. Don't need to treat emerging channels like broadcast media - and don't allow ignorant people to narrow the emerging media presence so much, their potential is nullified. You need the right approach, commitment, tools, tactics, communication, expectations and management. That requires education by specialists who understand these channels. Applying old marketing tactics to emerging media channels is abuse - it hurts your brand, your customers and subverts dynamic channels. This doesn't work in anyone's best interest. These channels work best for building relationships, fostering dialog, promoting good will and generating brand advocacy. Winners know this and adapt! The truth is -- everybody's watching - and waiting, to see if you'll evolve in to a semi-transparent, customer-centric company, or stay stuck in the stone age. If you don't - people may shift to a brand who does adapt. You can make digital and social media your friend. The writing is on the wall. While medium of communication has never replaced other medium of communication, new channels do trigger consolidation and impact use and investment. While we still have signs, print, the phone, and recorded music... we also have television, video, video-on-demand and networked computing. New mediums and channels will continue pave the way to the future of interaction while the old channels continue to serve their perhaps more limited purpose. It's important to remember that emerging channels can work against us, becoming an enemy when they are ignored, abused, poorly managed or misunderstood. My advice? Make them your friends, instead! For a lot of brands, it's time to work harder to refocus and rebuild what may be a shaky foundation. It's okay. It's still early. Most of us are very forgiving... and often forgetful of past mistakes. After all, we've all made mistakes - especially in the online medium. We all face challenges! Want an honest example? This site design has outgrown its purpose... I'm working on a redesign between client obligations... and I can't move this along fast enough. Developing a digital presence that matters is so important -- much more than spin, or hype or words. Your dedication to customers and improving the business will translate across the social web in a manner that reinforces trust and builds brand affinity. Companies just have to ditch that saddle, and learn to drive! The last few posts have outlined some thoughts on the subject of Transparency. 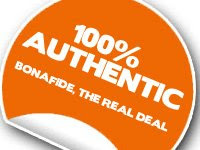 This generated some input from a few friends on the issue of "Authenticity." One buddy stressed how important it is to demonstrate authenticity within emerging channels - specifically within social media. I thought about this a little, and I have a slightly different take on the matter. I think we're already seeing a ton of authenticity in emerging media. For the observant, social media makes it relatively easy to piece together a somewhat realistic view of what goes on - or the thinking of various people and brands. The problem is, not all of it is authentically good. There are a ton of people and companies being real out there. I'm not sure people always want to see real... because sometimes, reality bites! Hey, Cool Thought Leader: I don't want to find out you work in your momma's attic in your boxers and eating Cheetos as you crank out amazing insight. I'd rather have the illusion of a casual professional in an internet cafe or something. Hey, "Expert": I don't want to hear you yapping constantly about how great you are - or telling me to find out for myself by buying your sensational eBook for just $29.95. If you're that great, lemme hear it from others. Hey, Huge Brand: I don't want to know that your social media outreach is being run by interns who love Gossip Girl, reality television and clubbing. Seriously, some of what we're seeing is authentically bad stuff ... authentically ego-centric...authentically self-serving garbage. Further, too much reality can be a bad thing. We don't need more of this. Without a doubt, we all love authentic good: Especially when it's not misleading or a smoke screen for the bad; Especially if it involves daisies, puppies and children. Authentically good stuff makes people feel better about interacting with you or your brand. It brings them back for more, and encourages them to tell others about your greatness. Strike this balance and you're off to a great start. In my last post, I tried to define this notion of "transparency" as context for a few other posts. Smart companies understand that emerging channels demand a greater level of openness and transparency than we have historically provided to customers. 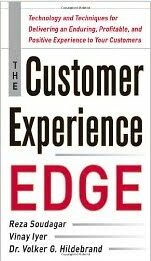 They embrace the pressure to perform well in highly visible channels - using it as impetus to identify broken aspects of customer experience and fix things -- rather than continue the way they always have. They recognize the opportunity these channels present to serve customer needs, build stronger relationships and strengthen brand affinity. A number of brands do this well today. On Twitter alone, it's easy and fun to engage with brands like @zappos @comcastcares , @southwestair @virginamerica @dell and others. Check out Best Buy CMO Barry Judge's blog and the activities at both My Starbuck's Idea and Best Buy's Idea Exchange for crowd-sourcing and customer co-creation. None of these brands claim they get it right all the time. But when they do mess up, it's refreshing to them say, say "Hey - sorry we messed up!" "We're learning." "Here's what we're doing about this problem." and "Here's how we'll make it right.". It's awesome to talk to companies who embrace responsibility as they work to help create satisfied customers. For these companies, transparency is a friend. Unfortunately, conpanies like these are still the exception, rather than the rule in most emerging media channels. The truth is, many companies who have become active in social media (blogging, twitter, facebook, etc.) will privately admit to being terrified of having an increased level of transparency with customers. While it's natural to have a healthy fear of increased exposure, some companies become so preoccupied with looking transparent and authentic, they lose focus completely. In an effort to use these channels to generate PR and spin, they may fail to engage as the medium demands: becoming more open and accessible; harnessing the power of the tools to bolster service and support; building relationships and driving brand advocacy. For these companies, transparency becomes the enemy. We don't need to mention names ... Do a quick audit yourself of the posts, tweets and status updates of a few major brands. It doesn't take more than a page or two to figure out who's really tapped in to their network and who is not. Check for dialog. Check for responses, and look at how the posts are worded. Is there conversation? Resolution? Are they broadcasting 140 character versions of press releases? Do you feel like you're being force fed a marketing campaign in tiny little chunks? Are they attempting to buy followers? Are they focused on quality interactions? Do you recognize people? Does the chatter seam meaningful? It's pretty easy to tell where the brand is at. Next, ask yourself: "Would I follow this brand?" If you wouldn't -- take note of why and remember it. This isn't just about corporations, but the agencies that serve them, as well. Ad Age did a fantastic piece this week highlighting the hypocrisy of agencies promoting Twitter. And that's just scratching the surface of a pandemic of agency hypocrisy in emerging media. In many cases, the lights are on, but nobody's home. What surprises me is how easily companies and agencies forget that people don't necessarily want to have love affairs with brands. In truth, people care really care most about themselves and having their needs met. They care about being heard, and responded to. They want to feel valued and recognized. They want to know others care. They often seek relationships with other people who make them feel good about themselves. They love brands because they meet and exceed their expectations. These tools pose tremendous opportunity to meet those needs. However, it seems some companies think just being present is "good enough". To be clear, being present in social media is not the same as establishing an effective presence. Broadcasting messages en mass within intimate digital channels isn't going to win coveted relationships. Shucking off customer issues, suggestions and recommendations isn't going to win friends. Ignoring people or their comments, is in fact is going to alienate customers and prospects. Yet it's happening all over within emerging media channels... as the world watches. For companies who do this -- transparency is your enemy. Customers can see exactly where the heart of the brand lies by the focus, content and intention of their emerging media content. It's okay to approach these channels with caution... but the world is watching. Don't just stand there and spin... engage, provide service, add value, meet needs, co-create and give back. Turn that ship around and give people something positive and remarkable to discuss! There's a lot of talk in marketing and social media circles today about the concept of "transparency." 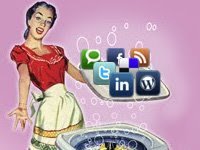 I use the term myself -- usually when trying to explain the impact of digital and social media to my clients. These technologies tend to expose the soft underbellies of our companies, by providing customers with greater visibility and more intimate knowledge of our brands, employees, products, services and operations. As a result, we are forced to work in a more transparent manner to address customer needs across a spectrum of online and offline channels. That makes a bit of sense, I hope. The problem is, the way most people are using the word "transparent" in this medium today feels terribly inauthentic to me -- as if we will all become as clear as glass, someday. The truth is, while these new channels force us to be more transparent, we will always seek a degree of opacity. Call it a fig leaf to cover our nakedness; a closet for our skeletons; or an illusion of transparency. Will we ever become truly transparent? I think not. We've all got some damage; some ugly we're trying to hide. We've all got things that need to be fixed. Stuff that perhaps it's better others do not see. Do we want everyone to know our business? Nope. So when we use the term transparent, what we're really striving for is balance -- creating an acceptable level of honest visibility for customers, which makes us more real and more accessible to them. This helps customers understand our plight as we attempt to service their needs, while providing enough opacity to shield us from over exposure. Sounds a bit like dating, to me. I'm going to write a bit more about companies that fight transparency in my next post. Stay tuned.